And, cousin mine, upon Monday is Saint Valentine’s Day and every bird chooses himself a mate, and if it like you to come on Thursday night, and make provision that you may abide till then, I trust to God that ye shall speak to my husband and I shall pray that we may bring the matter to a conclusion. From Robert Chambers, The Book of Days, 1869: Feast Day: St. Valentine, priest and martyr, circ. 270. Valentine’s Day is now almost everywhere a much degenerated festival, the only observance of any note consisting merely of the sending of jocular anonymous letters to parties whom one wishes to quiz, and this confined very much to the humbler classes. The approach of the day is now heralded by the appearance in the print-sellers’ shop windows of vast numbers of missives calculated for use on this occasion, each generally consisting of a single sheet of post paper, on the first page of which is seen some ridiculous coloured caricature of the male or female figure, with a few burlesque verses below. More rarely, the print is of a sentimental kind, such as a view of Hymen’s altar, with a pair undergoing initiation into wedded happiness before it, while Cupid flutters above, and hearts transfixed with his darts decorate the corners. Maid-servants and young fellows interchange such epistles with each other on the 14th of February, no doubt conceiving that the joke is amazingly good: and, generally, the newspapers do not fail to record that the London postmen delivered so many hundred thousand more letters on that day than they do in general. 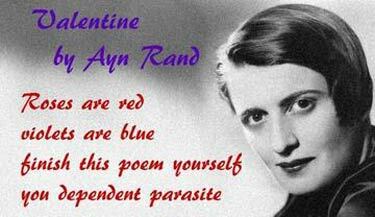 Such is nearly the whole extent of the observances now peculiar to St. Valentine’s Day. At no remote period it was very different. Ridiculous letters were unknown: and, if letters of any kind were sent, they contained only a courteous profession of attachment from some young man to some young maiden, honeyed with a few compliments to her various perfections, and expressive of a hope that his love might meet with return. But the true proper ceremony of St. Valentine’s Day was the drawing of a kind of lottery, followed by ceremonies not much unlike what is generally called the game of forfeits. Misson, a learned traveller, of the early part of the last century, gives apparently a correct account of the principal ceremonial of the day. St. Valentine’s Day is alluded to by Shakespeare and by Chaucer, and also by the poet Lydgate (who died in 1440). February 14th, prior to 1969, was the feast day of two, or possibly three, saints and martyrs named Valentine, all reputedly of the Third Century. 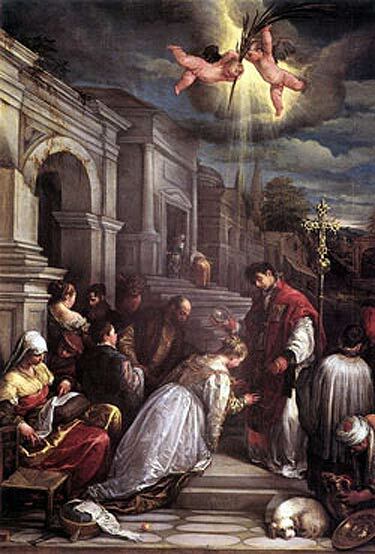 The first Valentine, legend holds, was a physician and priest in Rome, arrested for giving aid to martyrs in prison, who while there converted his jailer by restoring sight to the jailer’s daughter. He was executed by being beaten with clubs, and afterwards beheaded, February 14, 270. He is traditionally the patron of affianced couples, bee keepers, lovers, travellers, young people, and greeting card manufacturers, and his special assistance may be sought in conection with epilepsy, fainting, and plague. A second St. Valentine, reportedly bishop of Interamna (modern Terni) was also allegedly martyred under Claudius II, and also allegedly buried along the Flaminian Way. A third St. Valentine is said to have also been martyred in Roman times, along with companions, in Africa. Due to an insufficiency of historical evidence in the eyes of Vatican II modernizers, the Roman Catholic Church dropped the February 14th feast of St. Valentine from its calendar in 1969. Because of a lack of historical evidence, the Roman Catholic Church dropped the February 14th feast of St. Valentine from its calendar in 1969. From MEP Daniel Hannan via Troy Senik. the Archives of Never Yet Melted in the 'St. Valentine' Category.